Carolina Sánchez De Jaegher is an assistant professor of Latin American Studies and Spanish at University College Roosevelt. 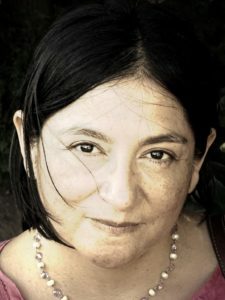 Her research is engaged with Indigenous´ rights, the rights of nature, critical perspectives of Human Rights, decolonial thinking and cognitive justice. She has worked in several universities across Europe and the rest of the world. In 2016, she was a visitor researcher at the Catholic University of Temuco, Chile where she lectured two master seminars and did field work in intercultural learning. Other academic interests are discourse and racism in language teaching. She has recently published a book Saving the planet with Green Capitalism? Or re-signifying our existence with Mother Earth? Since the colonization period, Indigenous nations have been witnessing the encroachment of their territory and with this the increasing vanishing of their modes of existence, spirituality and knowledge(s). This process reached its peak when Indigenous people were marginalized or confined to the most remote areas of the new geographical boundaries of the new nation-states while they were being assimilated into the mainstream of the emerging nations’ project and identity. Today these territories are again under siege of multinational forces and new forms of colonialism where the key conception of territory as a purely profit- oriented view overrides all other forms of understandings of how to live and pursue a plentiful life in this world. Indigenous worlds, generally, ‘do not make themselves through the division between humans and non-humans, nor do they necessarily conceive the different entities in their assemblages through such a division’ (REFERENCIA). In the current context, however, Indigenous relational worlds are both obliged into making such a distinction or face persecution, poverty, racism and ultimately extinction due to the disappearance of their landscape and even a bigger encroachment of their already reduced space. This project is an invitation to meet, discuss and learn with Indigenous leaders from all over the world in the city of Middelburg in 2018. This project departures from the idea that the field of human rights belongs to a large and diverse ecologies of thinking and doing. Under this light, the project aims at creating a space for an intercultural encounter within and beyond the academia for: participation, education and inclusivity. As it will gather Indigenous leaders, civil society members, academics and the student community in Middelburg to discuss and learn from our own academic/civil limitations and practices. My career and academic formation stems from a Liberal Arts and Science profile. It is no longer realistic in the complexity of a global academia to disengage knowledge as isolated parcels because everything is connected. Liberal Arts and Science allows students with very different interest to see widely and apply locally. Society needs this type of professional in a world that is facing an unprecedent environmental and civilizing crisis.